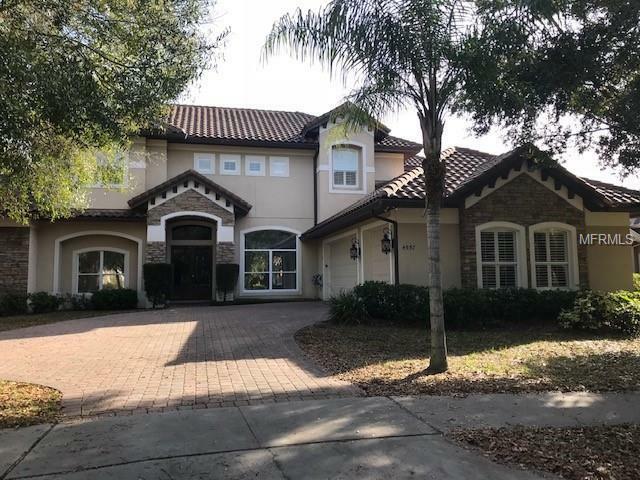 Beautiful custom built pool home located in Oviedoâs sought after gated community of Stonehurst located off Tuscawilla Road! Designer touches and quality finishes throughout! Gourmet kitchen with double oven and gas stove top, kitchen island, crown molding, and plantation shutters. The entryway opens into a formal living and dining room and into the spacious kitchen overlooking the family room, eat-in kitchen and beautiful back yard screened pool, lanai and summer kitchen with a grill. The downstairs master suite boasts dual sinks, Jacuzzi tub, dual showers plus a huge walk-in closet! You'll also love the convenience and size of your large drive for guests plus the side-entry 3 car garage. Located in top rated school zones, this traditional beauty is just minutes to local shopping and restaurants, Winter Park, UCF, 417, and the heart of Orlando. Welcome Home! !